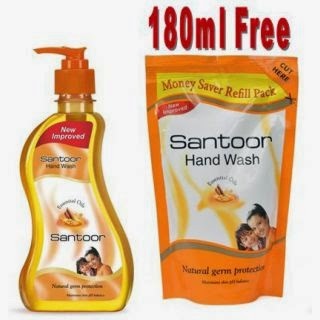 Here you can get Santoor Hand Wash 250 mL + 180 mL Refill Pack Free worth Rs 110, can be get it at Just Rs.63 only. Please Hurry to catch this opportunity. Enjoy the deal with Santoor Hand Wash.